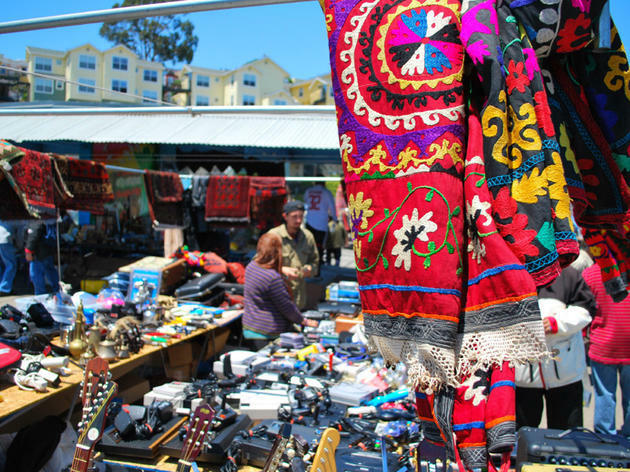 This flea market in the shadow of the I-280 overpass isn't fancy, but what it lacks in ambiance, it makes up for in affordability and eccentricity. The specialty here is antiques and artisan works, though that designation is relatively loose. (The first Sunday of each month is “Garage Sale” day, when anything goes.) Dozens of dealers back their trucks into the lot and unload wares onto rows of folding tables. 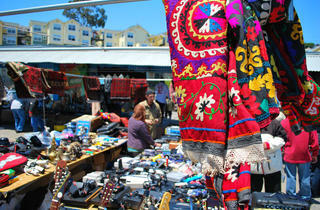 The prices here are decidedly cheaper than the Alameda Flea, and both the shoppers and vendors are seasoned hagglers. You'll find a wealth of furniture, art, picture frames, sports gear, chinoiserie and costume jewelry among the piles. But it's the weird, one-of-a-kind finds that seal this SF market's oddball appeal.